After helping set the scene with a better understanding of AML genomics and identification of therapeutic targets through previous grants, this funding through the Children’s Oncology Group will keep the story moving forward. Every day, longtime St. Baldrick’s Scholar Dr. Jessica Pollard harnesses her love of science and her passion for research to fight for kids with AML. 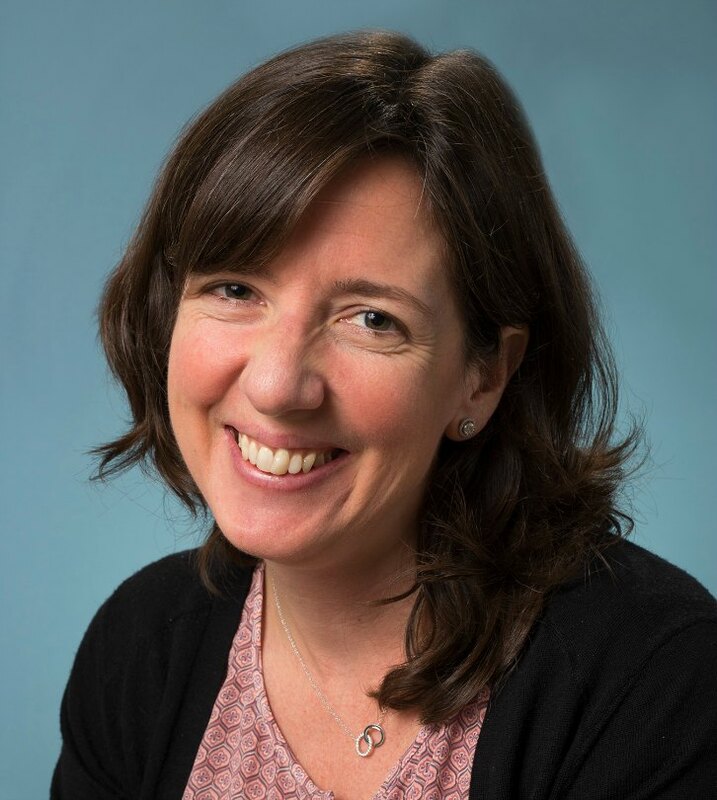 Beginning in 2008, St. Baldrick’s supported Dr. Jessica Pollard’s study of response to gemtuzumab ozogamicin among children with AML. (Gemtuzumab ozogamicin was the first antibody-drug conjugate approved for human use by the FDA.) This funding led to a highly cited publication in the Journal of Clinical Oncology in 2016 (Pollard et al) showing that the benefit of gemtuzumab is limited to patients with higher expression of a protein called CD33. 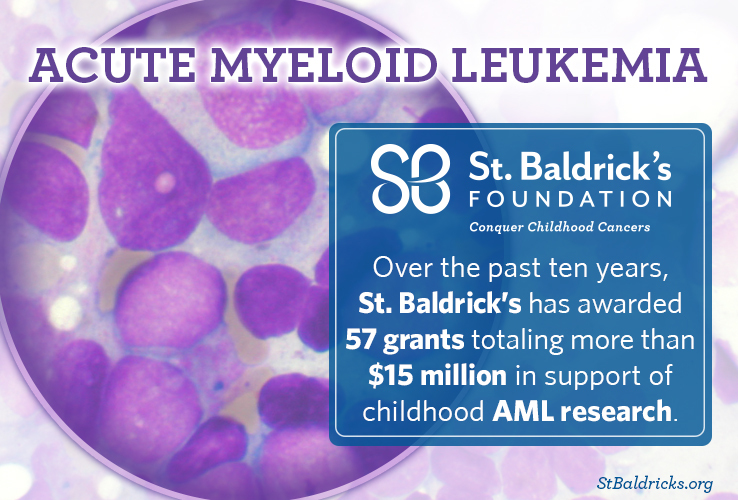 Thanks to a 2013 St. Baldrick’s Consortium grant, scientists gained further understanding of AML, altering the standard of care for children with the disease. Gemtuzumab will be recommended only for patients with genotypic and phenotypic evidence of full-length CD33 expression, and the FDA now has specific labeling for these pediatric patients. In 2013, St. Baldrick’s made another grant to a group of researchers working together from multiple institutions to study pediatric AML genomics with a goal of understanding disease biology and therapeutic targets. While these programs have yielded numerous findings, perhaps the most significant was a detailed description of the genomic landscape of pediatric AML, published in Nature Genetics in 2018 (Boulari et al). In this landmark analysis, the authors describe the fundamental differences between adult and pediatric AML and underscore the need for developmental therapeutic strategies for pediatric AML specific targets. It is clear that we can no longer conclude that adult AML is a model system for discovery of therapeutic approaches in children. Building on the experience from these St. Baldrick’s AML genomic studies, Drs. Katherine Tarlock and Soheil Meshinchi identified mesothelin as an aberrantly expressed protein on a large subset of pediatric AML cells, but not on normal marrow cells. This has resulted in funding from others to support a Phase 1 study of anti-mesothelin immunotherapy in children with AML. St. Baldrick’s has also provided further funding to identify a next generation of anti-mesothelin immunotherapies. 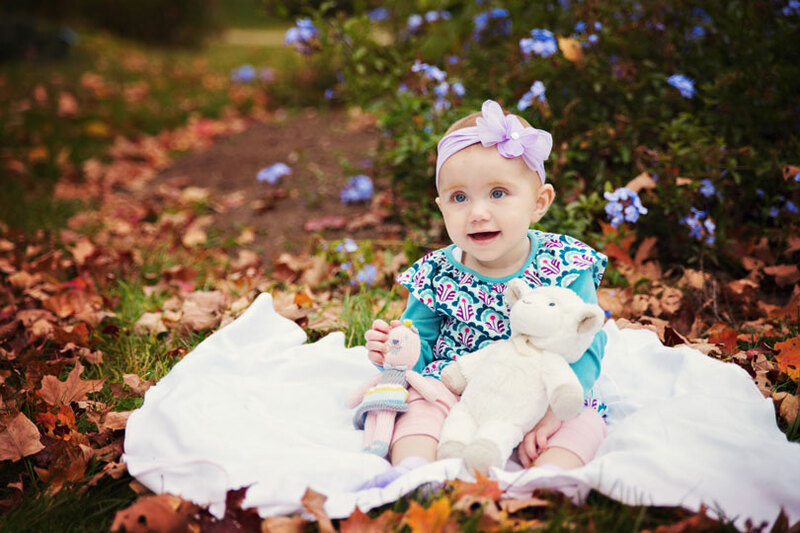 Sophie was just 3 months old when she was diagnosed with AML. After many long months of intense treatment, the little girl relapsed in April 2015. Despite her family and doctors’ best efforts, Sophie’s options were exhausted and she passed away from the disease. The cumulative effect of genomic sequencing supported by St. Baldrick’s is a new AML risk stratification system – a way of determining which patients are low-risk and which are high-risk, so that treatments can best fit an individual patient. This new AML risk stratification system, which was presented at the American Society of Hematology meeting in December of 2017, will guide AML treatment for current care and will inform future AML studies. These are some – but not all – of the St. Baldrick’s grants that are moving the story of pediatric AML research forward. While such impactful work involves many brilliant minds, much of it was sparked by the inspiration, foresight and enthusiasm of the late Dr. Robert J. (Bob) Arceci. A visionary leader in AML clinical care, as well as clinical and translation research, Bob served as Chair of the St. Baldrick’s Scientific Advisory Committee at the time of his death in 2015. We dedicate this story to Bob’s memory, to the cadre of passionate researchers who continue to make progress, to the thousands of St. Baldrick’s donors and volunteers who make it all possible, and most of all to the children, teens and young adults who have fought AML and to those who will someday – with our help – triumph.